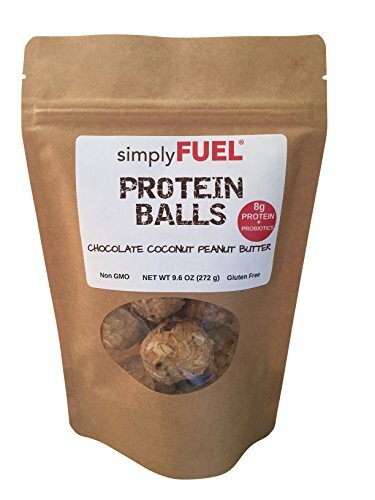 THE #1 SELLING simplyFUEL Protein Ball is the Chocolate Coconut Peanut Butter. 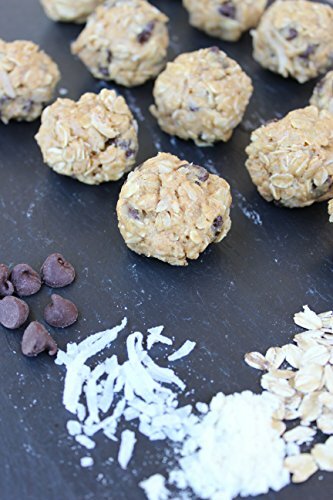 It is hard to go wrong with the blend of these popular premium ingredients of organic, gluten free oats, organic coconut, organic peanut butter, premium chocolate, and True Source Verified Honey. 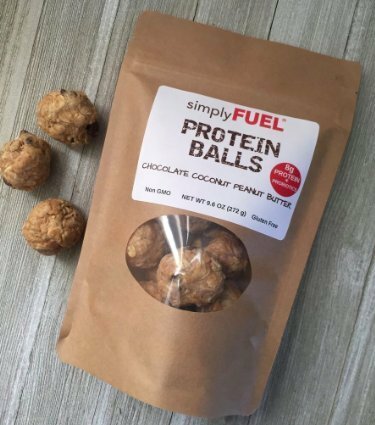 The freshness will delight your tastebuds.FRESH + On The Go: simplyFUEL WHOLE FOOD PROTEIN BALLS do not contain any artificial ingredients. YAY! 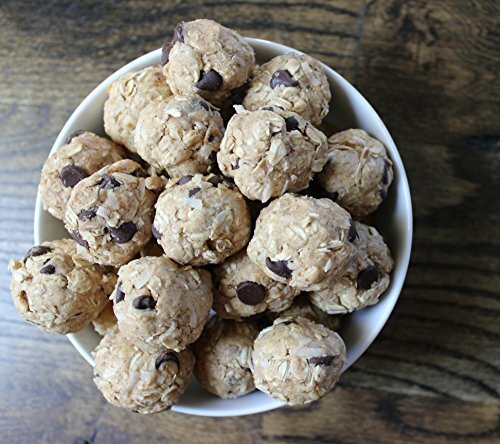 DELICIOUS: Tastes like cookie dough! WARNING: KIDS LOVE ‘EM. YOU MUST HIDE OR SHARE! 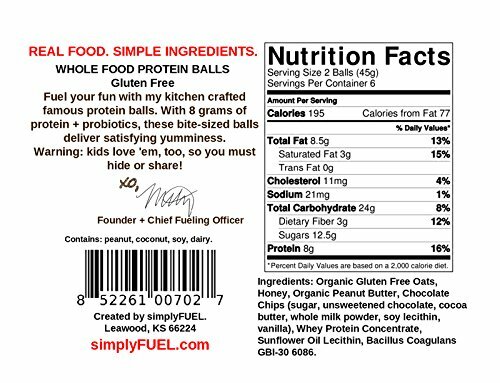 CLEAN, SIMPLE INGREDIENTS: The ONLY whole food protein balls with probiotics + contains the ideal ratio of protein, carbs and fat. 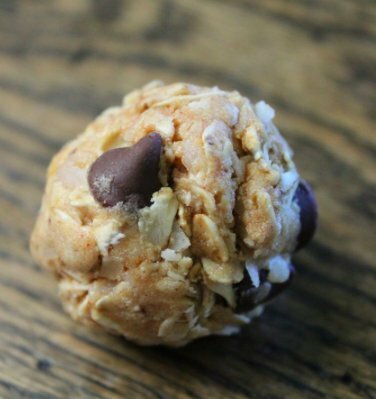 CLEAN EATING: Simple, clean, wholesome, gluten-free ingredients that will fuel you up while also satisfying any sweet tooth. 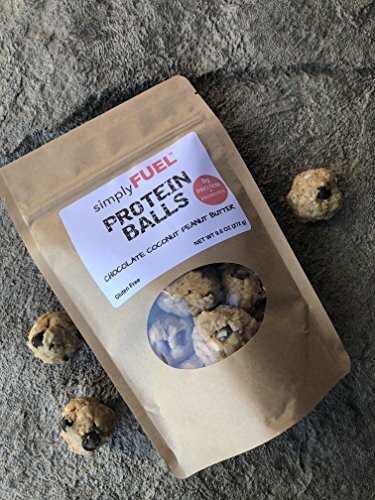 PROVEN TO PERFORM: simplyFUEL Protein Balls were designed and created by Mitzi Dulan, a World Series Championship sports dietitian who is the founder of simplyFUEL.